British Tars: 1740-1790 is a blog I maintain in my spare time. My goal is to explore the appearance of common British and American sailors in the half century prior to the French Revolutionary Wars through primary source artwork. It is my hope that this blog will prove a resource to historians, decorative arts specialists, costumers, reenactors, and any other interested party. Many respectable scholarly works trip up on describing the dress of common sailors, and works done many decades before the internet granted easy and free access to innumerable primary sources have since become accepted as fact. It is not that these authors are lazy or attempting to subvert truth, but that there has been little research done on the appearance of sailors in the space between the Golden Age of Piracy and the French Revolution. With British Tars: 1740-1790, I am attempting to assist in remedying that by providing a short analysis to each work featured. It is my intention to keep this blog narrowly focused. Only works that are drawn in the years 1740-1790 are included, with the very, very rare exception of works done after this period but based on original drawings done in the period. 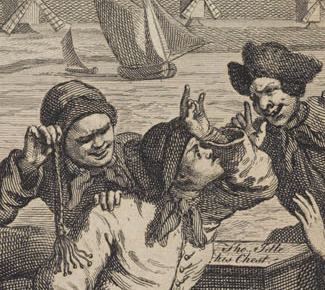 I do sometimes include art that was drawn during the period, but depicting a time prior to 1740, but only if I feel that it is representative of what sailors in my period of study were wearing. With a strong focus on common sailors, I tend to skip officers and merchant captains, unless they are wearing something representative of the more common mariner. Here and there I will include an off topic post. 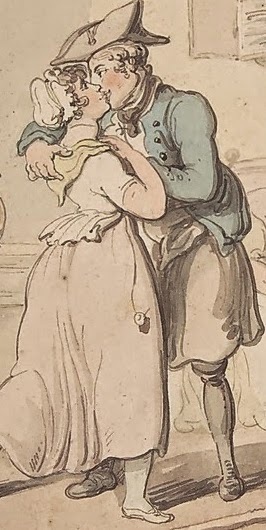 These posts are still relevant to the study of maritime culture and history in 1740-1790, and are not posted with the usual tags that help identify aspects of sailor's dress. I strive to only include images in the public domain. All images, where possible, contain a direct link to the original source. All museums, libraries, and collections are linked to in the sidebar to the right. If you believe any of these images is not in the public domain, or is being used without correct attribution, do not hesitate to contact me. Through tools provided by my host site Blogger, I do track views, websites through which this website and individual posts were shared, and the nation of origin for my audience. I have access to, track, or store any information about individual users. I do not allow advertising on this website, as that would could be construed as monetizing images that are legally the property of the individual museums and collections I draw from. I have no intention of commercializing the property of non-profits. Occasionally I include links through the Amazon Affiliate program which entitles me to a small fee for books that I recommend. If you feel this infringes on a specific copyright for you or your institution, please contact me immediately.